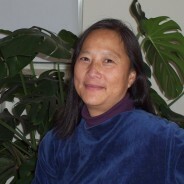 Helena Wu is a CPM, Herbalist and Birth Arts Doula Trainer. She brings more than twenty years of Birth and Women support care to Birth Arts International. Helena of Moon Mountain Midwifery and Herbal Medicine is a Licensed Midwife who has been attending homebirths in the southern Vermont area since 1990. She trained by apprenticing with different midwives and is a Certified Professional Midwife. She has been a La Leche League Leader, Childbirth Educator (trained through ALACE and Cooperative Childbirth Association), Doula and Postpartum Doula. She loves teaching about natural birth. She is the owner of Good Medicine Tree, an herbal apothecary, where she offers products, herbal education courses (Happy Heart Sacred Plant Medicine and others) and health consultations. Fostering humankind’s awareness of their connection with Nature and Spirit is her passion. She is a member of the Vermont Midwives Alliance, the Midwives Alliance of North America, National Association of Certified Professional Midwives, United Plant Savers and is on the Council of the Northeast Herbal Association. Her three grown children continue to delight her.